Holiday Comprehensive Stress Test and Analysis Package. Make this your best holiday ever. Reduce your stress and feel great. Schedule your holiday stress relief now. Holiday Comprehensive Stress Test and Analysis for $120. 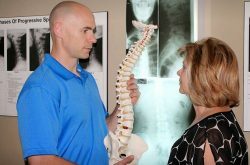 Dr. Aaron Cain will review your detailed medical history, take x-rays, then conduct a thorough chiropractic exam. The doctor will then develop a plan to detect and correct the underlying cause of your stress, and guide you on lifestyle changes that can prevent the headaches from returning. Don’t let stress or a migraine ruin your holiday. Schedule your Comprehensive Stress Test and Analysis now. Yes, Schedule My Appointment To Relieve My Stress!